Thanks to Coach Anthony Velez for helping get YOUR donated baseball equipment to Santo Domingo!! It arrived !! Thanks to all our supporters !! Thanks to all you who have donated gear to us!! Jane Addams Jaguars & Coach Jean-Bruce are grateful to everyone of you for helping his team in need! THANKS SO VERY MUCH FOR SUPPORTING OUR MISSION! We are truly grateful to Andrew K from BSA Troop 544 from Long Island NY. We thank Andrew, his family, friends and his community for all they have done for Lets Play It Forward. So thankful to Maura from Fairfield, Connecticut.She partnered with us and held multiple equipment collections.Maura held collections at tryouts, games, and opening day!! Thank you Maura ! All the donated gear has found new homes!! Thanks to each & everyone of YOU who have donated ⚽️⚽️⚽️equipment to us! It found a new home with Jane Addams High School For Academic Careers. TY to Coach Guerino Jean-Bruce for coming from Brooklyn NY to meet Anthony Lombardi in Kisco this week to help all the students in need!! Excited to be a part of starting a Girls Lax team there! Thanks to all of our for making this possible! Shout out to Jordan & Elijah for creating a club at Livingston High School Livingston Public Schools in New Jersey called Sports 4 All. They collect used and unused sports equipment. We are grateful for their donations to US! Some of the baseball gear is headed to the Dominican Republic through Grand Slam Batting Cages in NYC! Thank you so much!! Your donations have found new homes with teams and children in need in NYC! Your softball donations have new homes! Thank YOU! ​Thank you so much to Jacob for supporting our mission and organizing a collection for his Mitzvah project. He drove over 2 hours to deliver to us today! We are grateful to all who donated ! We are grateful to the Temple Israel of New Rochelle community for organizing a sports collection on behalf of us! Your donated gear will find new homes with children in need. Thank you for supporting our mission! We would like to thank all of you who have donated baseball equipment. It found a new home with athletes in the Bronx at Grand Slam Batting Cages. On our 6th year anniversary..
We are all grateful to all of you for your support of us! Thank you to every single basketball donor!! Your gently used  have found new homes at 182 Webster Ave with Coach Ty Moore and his athletes! We are all grateful! Mrs. Benedetto Health Class. Thank you supporting our mission and collecting gear for people in need! 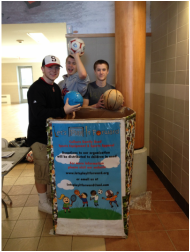 We are also grateful to Brewster Sports Center for allowing us to have a collection box on site! Parkchester Pamper Leaugue in Bronx NY receiving donated gear!!! Thank you donors!! 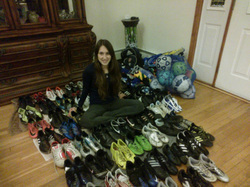 Maura K, A 17 year old from Fairfield, CT partnered with Let's Play It Forward and held multiple equipment collections. Maura played with Fairfield Little League Girls Softball from first grade to eighth grade, and she still help out at events now. We are so excited to report... there was a great deal of participation from the Fairfield community. Maura held collections at tryouts, games, and opening day. We are truly grateful to Maura and the CT community for supporting our mission!! Thank you for your generosity! Maura YOU ROCK!! Special thank you to the Ardsley Community! We are once again so honored to have been the beneficiary of your collected sports equipment from Ardsley Cares Day! Thank you Ardsley PTAThank you Jared and Antonio for making the pickup! Peace Corp volunteer ! She provided us with the US Military Base address and they got your donated soccer balls to TANZANIA!  Thank you to all our donors! with sports equipment due to budget constraints . THANK YOU TO ALL OUR DONORS FOR MAKING THIS POSSIBLE. Gabriella from Allendale, NJ. They organized a sports equipment drive on behalf of us for their Girl Scout Silver Award Project and meet Brian Olifiers at our storage facility this past weekend! We are grateful for your hard work and dedication to our cause! Special thanks to Jibril from Westchester County who attends Colgate University for helping further our mission! We are grateful to him for his dedication to our cause and all the donors who supported us! Looking forward to having you join our LPIF team!! So happy to have been able to support the Tommie Cares Foundation at the Rye Playland event last weekend through New York State Office for People With Developmental Disabilities and Rob Astorino! Thank you to our volunteers for the help!! We are grateful to Panera Bread for hosting a fundraiser for us! We are so THANKFUL to everyone who was able to come and support our cause! We are so honored to have received this thank you letter from New York State Assembly Majority, District 46! We loved supporting the cause and giving children the opportunity to play the sports they love! Thank you to Mike Touma from Montville Township Public Schools for his service project! We appreciate all of your hard work to support our mission. Also, thanks to Andrew Pugni for volunteering this past weekend! 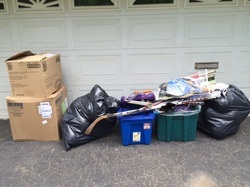 Thank you to PleasantvilleRECYCLES for their support of our mission, your donations have found new homes! Thank you Donors! Grandslam Batting Cages is headed to the DR to help kids enjoy the game of baseball!!! ⚾️ we are honored to have been able to assist! Thank you to Sarah R and the rest of the club members at Fairfield Warde High School in Fairfield CT. After talking with their club leaders, the students decided they would love to give their donations from the sports equipment drive to LPIF. We are honoree that your club was inspired by our organization and the aspect of giving youth a better chance to participate in sports. Happy to have helped Cassidy who is starting a beach volleyball program this June out of RallyCap Sports this summer in Bradley Beach, NJ. RallyCap Sports is a sports program for people with special needs. RallyCap not only promotes social integration but healthy living and self love. Please help support their mission!! Thank you to all our skate donors who made this possible! The Smithfield Little League uniforms found a new home with these softball players in NYC! Thank you for your donation! We are all grateful! The boys and girls from Madison Square Boys & Girls Club are so thankful to St. Luke Catholic Church, Indianapolis for passing on their Basketball  uniforms to them!! We are so grateful to our friends in Indianapolis! Thank you to Ali and Sophia from Whitestone NY. They worked on their Girl Scout Silver Award and partnered with LPIF. We are grateful for all their hard work and dedication! We are thankful to Alexander from Maryland!! He and his Mom drove all the way from MD to meet us at our storage facility. We are very proud and honored that Alexander chose LPIF to partner with for his GOLD Award!!!!! Mohs Mt. Olive High School for their monetary collection on our behalf!! The money collected will be used for shipping gear to kids in need!! Our soccer balls made it to Port-au-Prince, Haiti with FOCUS (Fellowship of Catholic University Students). Thank you Marie for bringing soccer balls to children who are patients at a children's hospital run by the Missionaries of Charity. The hospital cares for the children of poor families in Port-au-Prince. Collection for her Bat Mitzvah Project!! Thank you Jenna and all the donors for supporting our mission. uniforms our way all the way from Georgia! I would like to thank Pay It Forward Organization for donating a large donation of football gear to the Madison Square Boys & Girls Club Columbus Clubhouse girls flag football team. We received 33 football cleats, 60 different jerseys for basketball and football and pinnies, 6 shoulder pads, helmets, gloves, leg pads, and 10 compression shorts. 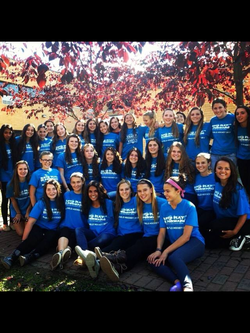 ​ Our girls flag football team deeply appreciate your donation. We were in need of the equipment for our flag football games and it definitely helped in a huge way. Thank you so much for passing the torch to make our younger generation much more productive and have a great experience playing flag football. Thanks to all our Soccerfest supporters! We raised $100 for shipping expenses. Please check back this week to find out more about the recipients of this weeks shipments! Thanks to all the volunteers and Varsity players!! 335 in Brooklyn with their basketball program. Thank you to all our basketball donors! We are honored to have received this special recognition from your team! Please let all the young players know how much we enjoy helping them play the game of baseball ⚾️⚾️. Without our donors none of this would be possible. Thank you softball donors!! Your gear made its way to the Pelham Bay Softball Team in Bronx NY! the NorthJersey.com newspaper!! Thank you!! Thank you Coach Velez for naming your bronx team in honor of LPIF. This past weekend the Playing it Forward players received a donation of medals from Tommie Cares Mt. Kisco NY for their end of season BBQ in Bronx NY. So thrilled to have helped start a sports club for children and young adults with Autism at a Chicago therapeutic day school called EasterSeals. Thank you to all our donors, your equipment found a new home! Thank you so much to Frances, Peggy, Audry and Mr. Redox from Arc of Westchester for doing such great work last Wednesday at our Mt. 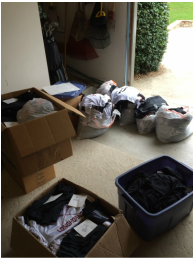 Kisco storage barn preparing the softball gear and lax uniforms for their new home! ​So happy to have been able to bring tennis and education programs to at-risk children around Fairfield County. This would not have been possible without the help of the Leichter Family from ​Carmel, IN who held a tennis racquet drive on our behalf! I am with a lacrosse club in central Virginia that is essentially going out of business - lacrosse is finally in the public schools here so our club is no longer needed, which is a good thing. Mr. Moyer sent 6 boxes of lax uniforms and they found a new home with the White Plains Lacrosse Camp & Coach Rubenstein this month!! Thomas was able to also delivery lax sticks, helmets and pads. Thank you to all our lax donors!! Coach Velez who coaches a team at Belmont Park on Crotona Ave. He was overwhelmed with the generosity of all our donors. 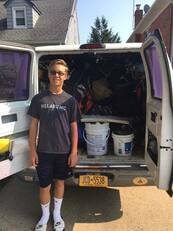 Thank you so much to Jason from Maple Wood, New Jersey for collecting gear on our behalf for his Bar Mitzvah service project!!! Thank you to all our generous donors. We have shipped several boxes of field hockey, soccer and baseball gear to the children of the Deposit, NY Central School. We would like to thank the girls basketball team at Connetquot High School for their generous donation of basketball uniforms and basketballs. Thank you for helping us play it forward. Thank you Donors and Brian Olifiers! Your gear made its way to the students in the Deposit NY. 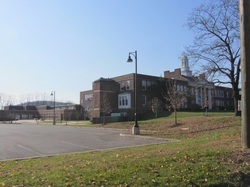 Central School district. Proud to have donated these auction baskets to THE SHS SENIOR FASHION SHOW & The SEF CASINO NIGHT this month! Thanks to the Somers Community for all of your support of our mission. We are thrilled to report Sam Kessler Syracuse Class of 2019 is currently our first college intern. She has made a connection with Global Student Embassy. We sent our first shipment of soccer balls to Ecuador this month. We are excited about this ongoing partnership. Happy to have donated hockey helmets to Somers Special Olympics today for their upcoming floor hockey season! Thank you donors!!! We would like to thank Shawn from Shawn's fitness in Katonah, NY. Shawn purchased and donated brand new basketballs to Gililand Middle School in Tempe, AZ for the children to use at recess. Special thanks to Girl Scout Troop 4022 from River Edge, NJ. They partnered with us to earn their bronze award. We would like to thank the community of Ardsley for their sports gear donations during Ardsley Cares Day. We hope to get invited again next year! there will be a collection of gently used sports equipment to donate to those in need. Barton Elementary in Long Beach, CA contacted us this month requesting playground equipment due to budget cuts. Thanks to your donations and support we were able to help these students! Keep the golf club donations coming. 40+ sets of clubs all found a new home with The First Tee of NY in the Bronx!! Jack Long from Manasquan, New Jersey partnered with LPIF to work on his NHS Project. We are truly grateful for the hundreds of donations he received from the Manasquan, New Jersey community. Thank you Jack for your hard work and dedication to our cause. Thanks so much to Sam & Jack K for delivering the donated tennis gear to Norwalk Grassroots tennis! Thanks to King Kone and everyone who helped make our fundraiser a success! Great job Luigi! We would like to thank Messiah, Thomas and Pearse for organizing the golf clubs that were delivered to The First Tee of Metropolitan NY. 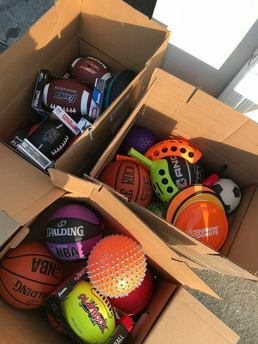 Thanks to all of our donors, we are excited to report LPIF has donated soccer balls, basketballs and frisbees to the CYFM mission trip taking place next week to Harlan, Kentucky for a second year in a row! Thanks to all our baseball donors. The gear is making its way to CUBA with ://beisbolacrosscuba.org/. 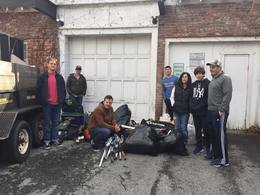 We would like to thank the community of Pleasantvile NY and the Pleasantvile Recycles organization for donating their gently used gear to us. The baseball equipment has already been recycled and found a new home! Thanks to Kathryn Harpin from Waterbury CT for dropping of her gear from her collection today! It was driven up to the Children's Home of Poughkeepsie by Jarrod P !! The lacrosse helmets that the Eastchester youth lax program donated to us found a new home with Community Based Services. They will be using them for the children of the Special Olympics Floor Hockey team in yorktown to protect their heads during their games. Ryan Devine a sophomore at New Egypt High School held a huge collection on behalf of LPIF. We received a ton of gear from his efforts. We would like to thank Ryan, his family and the New Egypt community for their dedication to our cause. We will be posting pics soon! So happy to connect with Jeff Landon from Poway Lacrosse In CA. Jeff shipped gently used lax uniforms and bags to us so that we could pass on to kids in need. Thank You to our donors in CA!! Thank you to Sean McNeil a senior at Sequoyah High School in Woodstock, GA. As part of his Senior curriculum, he had to complete a project that somehow related to the field he would like to work in. He has chosen to go to Kennesaw State University as a Sports Management Major. He chose to collect used sporting equipment to donate to kids who are less fortunate through Let's Play It Forward. THANK YOU SEAN FOR CHOOSING LPIF. YOUR HARD WORK IS TRULY APPRECIATED. Thank you so much to Juliet and Kiera from Girl Scout troop 4011, from Queens, New York. The girls worked on their silver award and collected sports equipment and gift cards on behalf of LPIF. Thank you for your dedication to our cause!!! Happy to report boxes of gently used baseball gear has been delivered to the Hammond High Varsity Baseball Coach in Whiting, IN 46394 again for their 2015 season. Thank you to all our baseball donors for making this happen. Thanks again to Brendan and Jason from Valhalla, NY. They organized another collection this past summer at All Sports Day Camp. Thank you campers for all the donations! Thanks to our Hockey gear Donors the equipment found a new Home with the Special Olympics of New Rochelle. We are thrilled to have been able fulfill the Lax donation request to help the girls Porchester High School. My name is Paula Sarles, I am currently a teacher at Port Chester High School. The girls here would like to start a lacrosse club. Eventually, we would hope the club becomes a team. Being a club however, leaves us with a limited budget and a lot of the girls here are not in the position to buy equipment. We are looking for any donations of used equipment such as girls' lacrosse sticks, goggles, unused mouth guards, lacrosse balls, lacrosse goal, or any other equipment you might have available that would help us start the PCHS Lacrosse Club. If you have equipment that could be donated please let me know. Or if you have any other suggestions to help to start this club I would greatly appreciate it. Thank you to the Ardsley Cares Team for their donations!!!! We are honored to have been selected as the charity for your annual sporting collection! Thank you to the 10U SHELTER ROCK REDMAN! 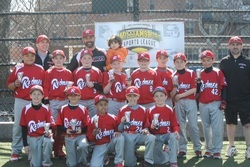 The 10U Shelter Rock Redmen team was started in 2011 by Coaches Mark Ungania and Ralph Bonelli. This travel team is comprised of boys in the local town of Shelter Rock Long Island. Over the past 3 years they have really formed a tight bond with each other. 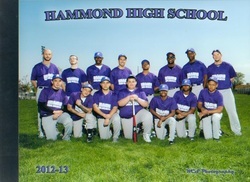 They play in both the NJBL and many tournaments throughout the year. The boys have always been taught by the coaches about the importance of helping out those who are less fortunate than themselves. This team is not only about baseball, it is about helping others in their community. As a team the boys have had a BandAid and lollipop drive for the Winthrop Cancer Center for Kids, collected baseball caps for children in South Africa through Caps Count, baked goods at the Ronald McDonald House for families staying there, sponsored a field day for the children at AHRC a school for handicapped children, sent care packages to US troops in Afghanistan, and most recently collected gear for Lets Play It Forward! Thank you boys for all your hard work and most important for being great role models!! Thank you Emma from Croton on Hudson, NY for picking LPIF and donating the sports gear you collected from your Bat Mitzvah project !! Thank you Corey Newman for his donation of 270 pieces of gear to LPIF from his Bar Mitzvah Service project. They will all find new homes with children in need. 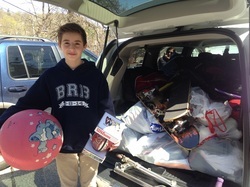 Thank you to Lucas and Ben from Montclair New Jersey for partnering with us and collecting over 600 pieces of sports gear as part of their Bar Mitzvah Project! Boxes of baseball gear made its way to The Bay Ridge Kings Youth Sports Inc. so that we could help make the sports program something special for the Canarcie Community. Of Women's Club Youth Service Award. Thank you GFWC members! Many thanks to Brian & Kevin ,8th graders at Somers Middle school held a lacrosse collection this month for the children of Harlem Lacrosse Leadership. If you have any Lax gear in good condition that your child has grown out of please contact them at letsplayitforward@aol.com. Thanks to Meredith Wilson & the SERVICE CLUB at SOMERS MIDDLE SCHOOL for having a RECYCLE/ REUSE collection on behalf of LPIF. A SPECIAL THANK YOU TO Marc from Basking Ridge, NJ. He partnered with LPIF for his Bar Mitzvah project and collected sports equipment and monetary donations to help further our cause. All your hard work is greatly appreciated Marc!!! Thank you to Max from Long Island NY. He worked hard collecting gear for kids in need for his Bar Mitzvah project. Soccer balls, basketballs and baseball gear delivered to the Special needs program at Lodi High School. Thanks to all our donors for making this happen! Basketballs made their way to HOOPS FOR HOPE IN KISSEMEE FLORIDA ! 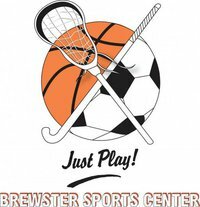 Thank you Brewster Sports Center for allowing LPIF to put a collection box at the center and your donations of basketballs and gear. Lets Play It Forward would like to thank Rippowam Cisqua School for their donation to help further our cause. The equipment found new homes!!! We were happy to help out PS 38 Roberto Clemente in Harlem, NY this month with a donation of new Physical Education Equipment for their students to enjoy! Thank you lax and hockey donors we were able to give 15 lax/hockey helmets to the Special Olympics of Somers for thier floor hockey program and 25 lax and hockey helmets were donated to Special Olympics of New Rochelle. Thank you to the students of Whippany High in Whippany NJ. They held a service project on behalf of LPIF and collected hundreds of items for kids in need! Soccer Balls and uniforms shipped to Mercy Corp to assist with Mine Risk Education in Asia. recently launched a conflict management program using landmine as an entry point. One of the components of the program is promoting Mine Risk Education (MRE) through Sports and Leadership program for children and youths in Kayah state. Having sports equipment and uniform is one way of motivating them to carry on with the MRE sports activities. The program will train 20 youth leaders/coaches using a unique soccer sport curriculum called Sports for Change that Mercy Corps has developed and used in other countries. Said curriculum will use soccer games and exercises as a metaphor to explain simple safety messages about landmine and Explosive Remnants of War (ERW). LPIF would like to continue to help this cause. Please continue to donate your gently used soccer bibs, balls cones and cleats for these children. Kelly O'Neil delivereded 1451 pieces to us in November as part of her Girls Scout Gold Award project! Thank you to all the players on Randolph High School's Field Hockey Team for helping us Play It Forward!! Love your LPIF Shirts!! Thank you to our donor from New Rochelle, NY. The 13 pairs of cleats will find a new home. A very Special Thank you to Christopher Shay who just turned 9. He had his birthday party at a Lakewood Blueclaws baseball game and asked his friends (and baseball teammates) to bring a donation in lieu of a gifts. We received the gear donated. We will find it a new home for sure. Thank you to Brendan and Jason CIT's at All Sports Day Camp in Tarrytown for organizing a collection on behalf of LPIF. Thank you Father Augustine for taking balls to Ghana with you and thank you Ryan Wilson for helping prepare the shipment. Thank you to KenMont & KenWood Camps in Kent, CT for the generous donation of soccer and basketballs. They have already found new homes with the boys and girls club of Mt. Kisco and African Charitable Soccer Organization. LPIF was happy to donate $250 to help H.E.R.O (Help expand recreation opportunities). 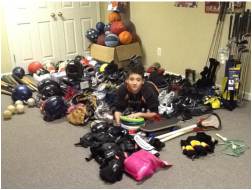 A special thanks to Justin Grey of North Caldwell, NJ for collecting gear on behalf of LPIF for his Bar Mitzvah project. Justin collected 193 pieces of equipment for LPIF. Many thanks to Somers CrossFit for hosting our fundraiser with the help of Tom, Cassie, and Holly and everyone else who came to work out LPIF raised $7,000. A special thank you to Somers 202 for providing lunch and hats off to Luigi Olinto for organizing the fun event. 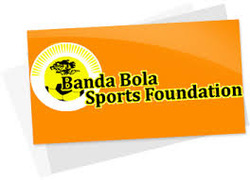 Banda Bola Sports Foundation, Glenville, NY 12084. 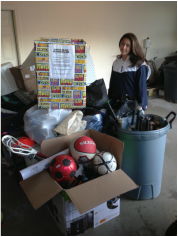 So happy to tell you soccer donations have found a new home this week in NJ with The Bergenfield United Soccer Club !! The Coach of the Dumont Tigers from Paramus NJ arrived at our storage facility last week to pick up your donations!! Playing it Forward from NY to NJ! ❤️Thank you everyone for making this possible! Thanks to all who made this donation possible! So thankful to Volunteers of America - Greater New York Operations Backpack for donating the backpacks to Lets Play It Forward! We would also like to thank Coach Antonio Luis Velez for volunteering to distribute the donated backpacks to students in need in the NYC area!! Special thanks to Jake from NJ. He chose LPIF as the beneficiary of his Bar Mitzvah project! Most of his gear has already found new homes. THANK YOU JAKE & Family and everyone who supported him! We are grateful. Lacrosse gear delivered today to Yonkers Public Schools! So thankful to Nathan from NJ!! Nathan decided to organize a donation drive in his community on behalf of Let’s Play It Forward!! The donated gear found a new home with Afya Foundation - The Official Page. It will be making its way to orphanages in Tanzania through AFYA in a few weeks. The donated weights, ⛳️ clubs and ⚾️ mitts made there way to Delancey Street Foundation today!! THANKS NATHAN FOR ALL OF YOUR HARD WORK !! Thank YOU so much to Westchester Recreation and Parks Society - WRAPS and all those who dropped off donations today! We are Grateful! Kaitlin Ann Rose, Brianna Penzo, @HannahNorowitz, ChrisCouture, @NickCarvalho, Fred & Linda and thanks to Coach Anthony Velez for all of your help with finding these donations a new home! ​Special thank you to Marisa who came all the way from NJ today to drop off the gently used sports equipment she collected as part of her Mitzvah project! She even had a bake sale on behalf of us and we will be using her monetary donation to help ship basketballs to Madison Primary Center in South Bend, Indiana!! Marisa YOU ROCK! ​Thank you to Brian W from NJ for organizing a sports collection for his Bar Mitzvah project for us!! We are grateful for all your hard work to support our cause! Thanks to Shane F for selecting to partner with Lets Play It Forward for his Bar Mitzvah project! We are grateful to you and to all your family and friends who helped our cause! 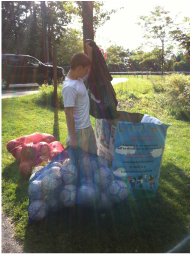 volunteering his time to deflate the donated soccer balls to prepare them to be shipped to children in need! Thank you to all our Lax Donors! All the stix, pads, helmets & balls making their way today to the students at Empower Charter School in Brooklyn NY! Stay tuned for more pics!! A very Special thank you to Jennie Conroy Event Manager & all the Johnson & Johnson employees and families in New Brunswick NJ. 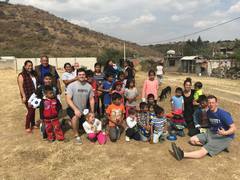 Each year Johnson & Johnson has a holiday party for the families of their campus and incorporate a charitable way that their families can “give back” to the community. This year they collected gently used & new sports equipment to donate to Let’s Play It Forward Inc!! Some of the gear was shipped today to Cincinnati Public Schools for their after school program! Thank you to Shawn's Personal Fitness for taking care of shipping costs! We are grateful to all!! Thank you to Jacob W from Fairfield County for supporting our mission during his Bar Mitzvah Project. Jacob collected gear from his family and friends. We can’t wait to find all the collected equipment new homes with children and organizations in need. Thank you Jacob and Family for your hard work and dedication to our cause! We would like to thank Tyler W from Rye New York for picking Lets Play It Forward as the recipient for his Bar Mitzvah Service Project! We are happy to report all the items have found new homes!!! Thank you Tyler for your dedication to our cause!! Special thanks to Jess L from Westport CT!! 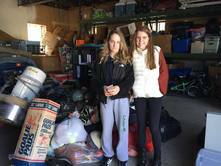 Jess partnered with LPIF to collect sports equipment for her Bat Mitzvah Project. We were honored to receive the gear as well as monetary donations to help support our cause! Thank you to Jess for all her hard work and dedication and to all who helped our cause! 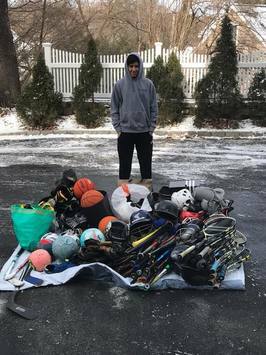 All the baseball equipment collected by Anthony R from Boy Scout Troop 61, Stony Point, NY for his Eagle Scout project is finding new homes this week with children at Parkchester Baseball We are so thankful to Anthony and all who supported our cause! Glen Ridge, NJ. Ryan choose LPIF as the recipient of his Bar Mitzvah Project. Thank you to everyone who supported our mission through Ryan’s great work! Kristin Staley Hirsch! Every piece will find a new home ! Check back soon to see the recipients and their smiling faces!  Thank you RYAN!!!! Golf Donors!! 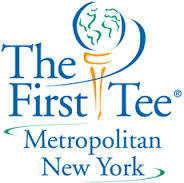 Your youth clubs have found a new home with The First Tee Metropolitan New York in White Plains NY!! Yesterday we delivered to the Boys & Girls Club of Mount Vernon once again! Five years later still going strong thanks to all of you! Thank you SSK Baseball USA for the new mitts, bats and gloves! We are grateful for the generous donation from SSK Baseball USA Brand new mitts and bats were delivered to Syracuse RBI Baseball this past weekend! 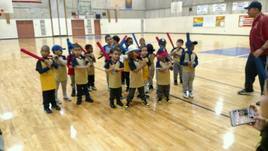 SSK Baseball USA giving a helping hand one mitt at a time! East Islip, NY for delivering their collected gear from their Girl Scout Silver Project today! We are honored they chose LPIF as the recipient of the donations. Thank you also to the community of East Islip for all your support!! We'd like to thank St. Rose Church in Newtown CT for the donations from its Vacation Bible Camp!! Look at the boxes full of gently used sports equipment and uniforms collected at MEGA Sports Camp®!!! Thank you so much to Cassandra from Yorktown for donating to Let's Play It Forward for her Girl Scout Silver Award! Special thank you to Mohawk Day Camp and Country Day School for donating their skate gear to us. They have all found a new home with the children at Coney Island Generation Gap! You have made many children very very happy !! We are grateful to New York Soccer Club from Westchester and Jennifer Young Meschewski for organizing a collection of ⚽️ gear on our behalf. Our recipients are so grateful! Special thank you to Joshua Burke, an 8th grade student at Canton Middle School in Canton, Connecticut. At the end of their Middle School careers students are asked to do what's called a M.A.G.I.C. Project for their school. This project requires Joshua to do something that he has never done before. Some people in his class are making meals for their family, others are raising awareness for causes, etc. Joshua organized an event and reach out to his community for gently used or new sports equipment to donate to those in need. Joshua you ROCK! Thank you so very much to Megan and Christina & the the rest of the Girls Softball Team from Rye High School (Rye, New York) for having a collection to benefit us! We are honored! LOLSC (Lyme-Old Lyme Soccer Club) for donating their BRAND NEW ⚽️UNIFORMS for others in need!! Thanks to Coach Antonio these ,⚽️,  will find new homes this week!! The Lady Tigers from MS 22 in NYC are so thankful to Oregon High School Volleyball from Illinois for sharing their uniforms! We are grateful too! Thanks to the students at Brunswick School for collecting on our behalf for a second year in a row! We are grateful to your community! Thank you to the NYIslanders Fans and their fans for all your support of us today! We are honored!! Thank you to all our GOLF DONORS . 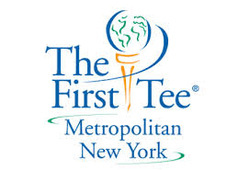 .TODAY OVER 40 sets of clubs headed to the children at The First Tee Metropolitan New York at the Mosholu Golf Course in the Bronx! Special thank you to smith field little league & their equipment manager David Antunes for dropping their gently used uniforms to us! Thank you to Harding Academy for the gently used Nike Basketball Uniforms! They will find a new home soon! Honored that you found us all the way from Tennessee!! Thank you to AMANDA FROM NJ!!! She partnered with us for her Silver Award for Girl Scouts. Amanda delivered over 650+ pieces of sports equipment today!!!!! Happy to have been able to help Coach Rocky & his Special Olympics Team in the Mount Vernon NY school district. He coaches the Pioneer league and we were able to suppy the children with hockey equipment for indoor poly-hockey. Thanks to Jared and Jack for delivering! Thank you to all our baseball donors! You have made these children living in Santo Domingo so Happy!! Thank you!!!! We are honored to have been the recipients of the collection of gear organized by Kim Goldhirsch (Teacher,Red Hook CSD Advisor & Coach). Special thanks to:Red Hook Central School District, Linden Avenue Middle School, NYSCLSA and the RED HOOK NY community for their generosity and supporting our cause. LPIF participated in a Dosomething.org campaign in October. We collected over 500 pieces of equipment. The gear found a new home with the children at a Special Olympics in Wappinger Falls. Thanks to the Somers and surrounding communities the Football gear was delivered to Nate Adams in New Rochelle today. Coach Adams is starting a new youth tackle team in his community! 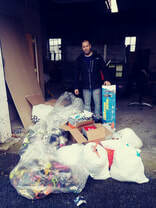 Thank you Anthony for organizing all the donated gear that made its way to the Rochester Kids Foundation in Rochester NY. ￼￼￼￼We are grateful for our partnership with The Lambert High School Volleyball Team for their continued support of our mission all the way from Georgia!!! Honored to have helped Girls' House of Refuge by donating all our tennis balls to assist with massage therapy on their medical mission to Cambodia in July. Thank you Dr. Jodi Kennedy, Integrity Chiropractic for giving your time to Cambodia! Thanks to our soccer donors and Ms. Fisher going on a humanitarian mission in July, we were able to send balls and cleats over to this Kenyan soccer academy! THANK YOU SO MUCH TO THE SOMERS MIDDLE SCHOOL SERVICE CLUB FOR COORDINATING A SPORTS DRIVE ON BEHALF OF LPIF FOR ANOTHER YEAR!!!! We appreciate all you do for us!!!! Special thanks to the 4th graders at the Murray Avenue School in Larchmont NY for spearheading a sports equipment collection for the 2nd year in row!! Thank you also to John and Luigi for making a presentation to all the 4th graders at their assembly during the pickup!! We would like to THANK ALL OF THE FACULTY AND STAFF AT SOMERS INTERMEDIATE SCHOOL FOR HAVING A DRESS DOWN DONATION DAY ON APRIL 20th!! The continued support of our community means so much!! We are honored to have received 80 reversible Creeks Lacrosse Pinnies. 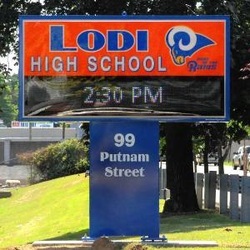 They have made their way to the students at the Deposit Central School System in Deposit, NY. 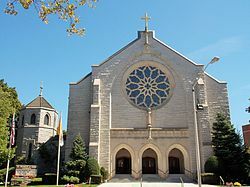 Happy to have donated a raffle item to St. Christopher's Inc in Dobbs Ferry NY for their annual Gala. ​Happy to have fulfilled this request below! Thank you John Lombardi for spearheading! We were able to send pinnies, soccer goals, jump ropes, bases, orange cones, basketballs, playground balls, wiffle bats/balls and a football! My name is Jim Gaven and I am now in charge of a new athletics program at the non-profit I work for, Allies, Inc. (www.alliesnj.org), who supports and empowers people with developmental and physical disabilities. In starting the program, we are going to inevitably need sports equipment, but at this time, not exactly sure what yet. I’d love to open the lines of communication and speak further with you about a possible partnership/sponsorship opportunity with our organization to support those we serve through exercise/fitness. Please feel free to reach out to me at your earliest convenience as I would greatly appreciate it. Special thanks to Shawn at Shawn's Fitness in Katonah Ny. 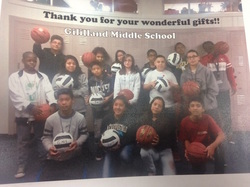 Shawn donated basketballs to Gililland Middle School, Tempe AZ. We received a request from Kelsey Bretl in December. She told us that her title 1 school district and students love playing basketball and volleyball in the morning and during recess. However, the balls that the students use are always deflated or broken. Shawn was able to fulfill their basketball request and LPIF TOOK CARE OF THE VOLLEYBALLS!! Thank you to our donors for making this possible! For a second year in a row Miss. Marquez's 7th and 8th grade students did an amazing job working to collect gently used sports gear. We would like to thank them for their hard work and dedication to our mission. Thanks Casey and Anthony for picking up the equipment and thanks Alexa for dropping it off at somers community center for Operation Santa Claus! VILLA MARIA ACADEMY Lower school in Immaculate, PA.
We would like to thank all of the employees at PepsiCo in Somers, NY for their overwhelming generosity during the employee annual giving campaign. We were honored to have been invited back for a second year in a row! Thanks to the Mallon family from The Harvey School for helping us prepare the soccer balls for delivery to kids in need. Our sneaker donations made their way this month to local families from the Community Center of Northern Westchester. Thanks to Mrs. Mazzola, Casey C and all of our soccer donors. The first donation is making its way to Fredrick Douglass Academy in Harlem NY! Gear making its way today to LIWEN (Long Island Women Empowerment Network). They are a non-profit community based organization that provides essential housing and referrals to needy and homeless families. Thanks to everyone who came to our storage facility to help sort today! We appreciate it so much! Thanks to Luigi for delivering the collection box to Jason and Brendan from White Plains NY. They will be working on a collection again this year at All Sports Day Camp! ​Thanks for your donations that we were able to donate a Sports Gift Basket to support Stephanie's Mission. Thanks Lax donors your lax gear found a new home with the Port Chester High School Lacrosse Club!! 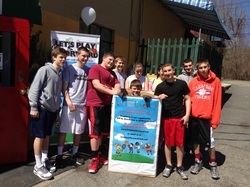 Harrison NY for the hard work you put into your Bar Mitzvah Service Project on behalf of LPIF. Danielle& Nicole from the Girl Scouts in Flushing successfully completed their silver project and delivered lots of lightly used sports equipment to donate to help our mission! We thank you for all the work you put in and helping us! Your monetary donations will help us defer our shipping costs!! Thank you to all your family and friends from FLUSHING who helped make this possible!! Happy to announce LPIF was able to contribute to sending underprivileged youth to the DeMatteo Somers Block and Tackle camp this summer. Thank you donors!! 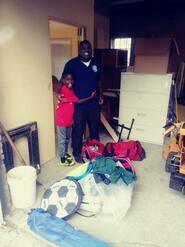 Thanks to all our soccer donors your gear made it to Geraldine Johnson School in Bridgeport, CT. The students are so happy! We appreciate all of the sports gear that we receive every month from the Community Center of Northern Westchester. Every piece has made a child in need so happy! 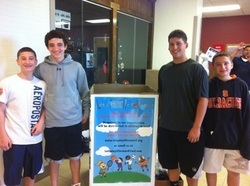 Thanks to Rippowam Cisqua School in Bedford, NY they ran a used sporting goods drive/sale . We were thankful to receive the bags of extra equipment for a second year!! Thanks Tucker for making the pickup! has been collecting slightly used sports equipment to donate to kids in need for her Senior project at Mountain View JR/SR High in PA. 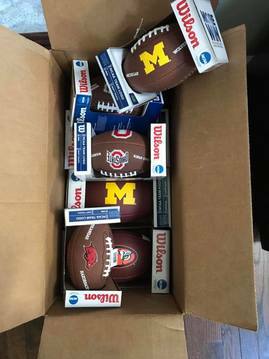 Her first shipment sent out to us consisted of 5 boxes full of gear: 2 baseballs, 11 baseball mitts, 29 pairs of soccer cleats, and 14 baseballs helmets. She tells us there is more on the way!!! ​Thanks to Daniel for organizing to have the First Tee pick up all all our donated golf gear. It made its way to the children in the Bronx to teach kids important life skills through the game of golf! Thank you John for delivering the Baseball gear to KIPP WHMS (Washington Heights Middle School) in NY for their afterschool baseball program! Kids were thrilled ! Many thanks to all our baseball gear donors for making this possible. Thank you Marc Maestri for organizing the shipment of basketballs to Hoops For Hope in Amagansett, NY. We have also made a monetary donation to help assist Hoops For Hope in their mission. Thanks so much to St. Francis CYO For delivering the gently used uniforms. We so appreciate your support of us! Gear made it's way to Cambodia! Thank you to Rachel Yoo and her missions team!! We all just wanted to thank you and your organization for acting upon our request with such short notice on time. The donations you sent us were way more than we ever expected, and we are truly grateful for all that you have done. We weren't able to get great pictures because we were all amateur photographers; however, here are a few we were able to capture. Have a wonderful day, and I hope that this will not be the last time working with Let's Play it Forward in order to share the blessings of sports equipment in the US with kids around the world. Thank you once again. Thank you to the Northern Westchester Community Center in Katonah NY for their donation of kids tennis shirts. We passed them unto Hero Inc who will give them out at there Tennis Carnivals this year and in 2015. Hero's mission is to actively seek out people with disabilities and provide them with recreational opportunities. Thank you to SHS Student Council for choosing LPIF as the Charity for the Bonfire. We collected over 133 pieces of gear that evening. Thank you to all who donated to help further our cause!! Casey from Walden, NY turned 10 on August 4th and for his birthday party He decided he didn't want his guests to bring him presents and instead, he wanted to donate somehow. He thought about it and asked if there were kids who wanted to play sports but couldn't. Casey feels so lucky he is able to play 3 or more sports a year and wants to #payitforward! What a terrific young man!!!! Thank you Casey for being you!! Many many thanks to Maureen Kramer and her fifth grade girl scout troop from White Plains. They worked on their Bronze Award by holdihg many sports equipment collections and donating the gear to LPIF. Many children who are not able to afford equipment will be sooo happy!! Thank you to: Hanna Watkins, Brooke Gleason, and Danielle Major from Manhattan Beach, CA they are high school sophomores who started Kleats 4 Kids club. Their club has grown immensely since the beginning of last year and they donated soccer gear to us and we in turn have passed it on to Friends of the Children of Ghana, U.S. Thank you girls!! the boys and girls in Chituka Village. Thanks sneaker donors!!! Thank you for helping the boys and girls in Chituka Village. 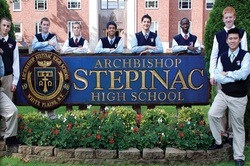 Thank you to The Archbishop Stepinac Rotary Interact Club who held a sporting goods drive this month at their school. Thanks for all your hard work to further our cause. 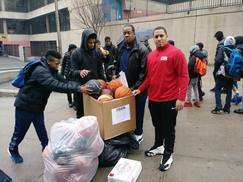 Thank you Somers Lions Club Donors basketballs have been shipped to PS 147M in NY NY!! Our very first donation from a Varsity College Team. Thank you Manhattanville Valiants for the softball gear. It will make its way to children in need this summer! KAPPA IV school in Harlem. Enjoy the donations!! Thank you to our donors and volunteers we received 339 pieces of gear at the Lions Club Pancake Breakfast. Thank you golf equipment donors. All of our golf gear was delivered to Moshulu Golf Club in Bronx NY to help children learn how to play golf. Thank you Max Wasserman from Long Island NY for partnering with LPIF for his Bar Mitzvah project. Max spent countless hours collecting gear. He also collected monetary donations on our behalf and purchased new sports gear for LPIF to pass forward to children in need. 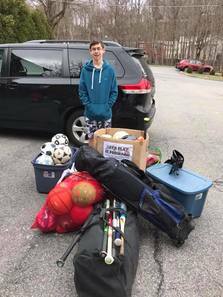 Thank you to Jared Scheff who has collected over 200 pieces of equipment for his Bar Mitzvah project and donated it to Let's Play it Forward during the month of March. LPIF is happy to report that we helped Esperanza Prep school in Harlem NY start a girls volleyball program at their school this month with a donation of volleyball gear. Gym equipment and baseball gear for their new baseball program! 5 boxes of mitts, baseballs, catchers gear, bats and baseball cleats arrived in Indiana today (Feb. 3) to assist the varsity baseball team at Hammond High school. We will also be providing them with t-shirts with donation money we have received! Thank you to all our baseball donors! Special Thanks to Jackson Yaegar from Cortlnadt Manor NY. He partnered with LPIF and worked on collecting gear for his Bar Mitzvah. Great Job Jackson!! Preparing for our trip on 12/7 to Guyon Rescue center in Staten Island NY. See home page for link to pics of our service trip! Oceanside NY. Christina is organizing ongoing collections for LPIF. Thanks for the donations you delivered to LPIF on 11/2/13. The gear will be brought to the Guyon Rescue center in Staten Island for sports leagues affected by Hurricane Sandy. Thank you to all the donors that helped make Christina's project possible!! Thank you to the volunteers & donors from Ardsley Cares. 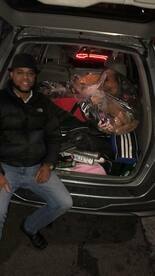 We delivered the sports gear you collected on our behalf on Saturday December 7th to the Guyon Rescue Center in Staten Island, NY. They will be distributed to victims of Hurricane Sandy. Looking forward to working with you again next year. Thank you to Brendan and Jason from Valhalla, NY for helping us play it forward. for pictures of the events! behalf of LPIF at her workplace. Thank you to all who donated!! Thank you to the USTA and the Saw Mill Club for allowing us to be a part of Tennis Fest. Thank you to J.T Olert for all his hard work organizing. Thank you Christine Robbins and the Somers Democratic Club for their generous donation to LPIF. 260 pieces of gear on behalf of LPIF. 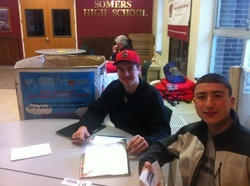 Thank you to all who donated equipment during Somers Green Week at SMS. Thank you to all our donors for helping to make the Pancake Breakfast a huge success. LPIF collected 829 pieces of gear. Thank you to Brendan Smith for organizing the baseball collection for Hurricane Sandy baseball leagues left without equipment. Brendan was able to ship 6 big boxes full of baseball and softball helmets, bats, baseball pants and cleats to help those in need through Pitch In For Baseball. Thank you to all our volunteers who worked so hard to count and sort all the equipment. Thank you to all our donors: LPIF was able to help Y-COP camp in Mount Vernon, NY with the equipment to start a street hockey program this summer. In addition to street hockey equipment LPIF donated gently used soccer balls, basketballs and footballs to their camp. As part of Daniel Rannekliev's and J.T. Olert's (LPIF Founders) National Honor Society Project several boxes of donated soccer balls and cleats made their way to children in northern Uganda through peacepassers.org. A special thanks to the Nero family from Harrison, NY. They collected gear on behalf of LPIF at the Harrison soccer games. Thank you to all the Harrison NY donors. Thank you to our White Plains donors we were able to send brand new soccer uniforms to Kenya through The Kwarula society for Kenyan education. A special thank you to all of our donors at The Brewster Ice Rink. 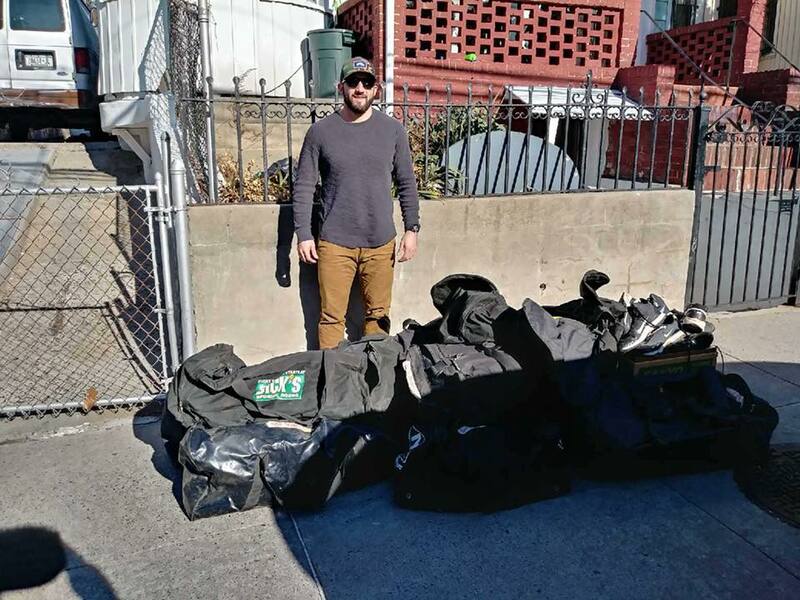 LPIF prepared six boxes of hockey equipment and shipped it to Restore Hockey in Massachussetts. Restore Hockey cleans, repairs, and restores all donated equipment and delivers it to kids and organizations in need. 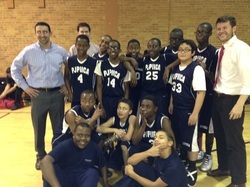 Through your generous donations LPIF was able to provide inner city students at Pope John Paul II Academy in Dorchester, Massachusetts basketball uniforms so they could participate in an organized basketball league. LPIF collected gear as well as hurricane relief items for babies and pets on November 17, 2012. Thank you to all our donors. We collected over 1,000 pieces of gear and over 100 items for hurricane relief. We will be delivering the relief items on December 2, 2012. 200 soccer balls MADE their way down to the children in a poverty stricken town in Jamaica through Stephanie's Mission. Let's Play it Forward participated in Tennis Fest in Mt. Kisco, NY at the Saw Mill River Club. The donated items are going to Bridgeport Community Tennis and Ossining Community Tennis. We were proud to partner with USTA Eastern in this event. 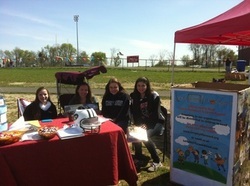 April 28th, 2012 Let’s Play it Forward partnered with the Somers High School Booster Club and attended Spring Fest. We collected 121 pieces of equipment and $66 in donations. 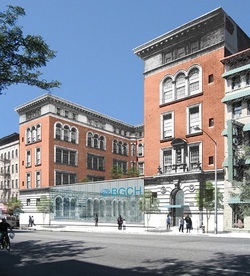 The money was used to purchase pop-up soccer goals for West Side Soccer Leauge in Harlem, NY. On behalf of everybody at Let's Play it Forward, we express our sincerest thank you for your donations at the Pancake Breakfast. We collected 503 pieces of equipment at this event. Much of the equipment you have donated has already had an impact on children and teens in the local area. Your gear has been given to two separate campuses at Saint Christopher's Inc. in Dobbs Ferry. We personally gave the equipment to the children and we are happy to let you know they were overjoyed with the contributions. A big thank you to a Somers family who helped us help a girls basketball team in White Plains with basketballs for their team. A special thanks to our Yorktown donor for donating pinnies and cones for this team. 150 soccer balls were shipped to La Carpio, Costa Rica. We are currently raising more money to ship some more balls down to the children at this refugee camp. 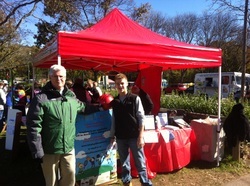 LPIF had a booth set up at Soccerfest this past Saturday at Reis Park in Somers, NY. We collected 1,400 pieces of equipment which includes over 1,000 brand new soccer balls. Collection boxes were set up at Reis Park Pavillion, Upper-Reis Park, and Primrose. Thank you to all who donated. Some of the soccer balls have already found new homes : Hudson Valley Cerebral Palsy of Westchester, Bright Beginning Learning Center for students with Autism in Faifield New Jersey, Steph's Place Jamaica, West Indies. The remainder of the balls will be donated to: Starlight Foundation NY, NY, Carver Center in Porchester NY, Maria Ferrari Childrens Hospital, Blythdale Childrens Hospital, Pope John Paul II Catholic Academy in Dorchester MA, and La Carpio, a refugee camp in Costa Rica. Thank you to all our supporters who joined us on the evening of June 15, 2012 from 6pm-10pm to celebrate the end of school. The owners of the Burger Joint in Mt. Kisco, NY graciously donated a percentage of their sales to LPIF. We are in need of storage space and will use all money raised for a storage shed to store donated equipment while we find a new home for it. Thank you for your support! We met our goal and the shed will be purchased this summer!!! We partnered with FC Somers Soccer and collected over 100 pieces of equipment at Reis, Van Tassel and Somers High School. Thank you Helen Brady for reaching out to us and making this all possible. April 18th-April 25th, 2012 Let’s Play it Forward participated in Green Week at Little People’s Learning Center in Lincolndale, New York. We would like to thank Bill Smith, Commissioner of SYSO Baseball. He helped us contact the Parks and Recreation Department and assisted us in obtaining permission from our town to donate all of the unused baseball equipment at the Van Tassel Barn. We were able to give all the used gear another season by donating it to Pitch in for Baseball in Pennsylvania.